This post and three other upcoming posts are an analysis of the literal exam topic documents, old and new. As you might guess, when writing the books, I have to get into the minutia of the 100-105 pdf exam topics and what they mean, so these posts take those observations at that few get to (or have to) think about. I breezed through the first 10 questions. I got stuck on Question 11. I’ve used 25 minutes of the 100-105 pdf at this point and I am starting to freak out. JUST BREATHE. Next thing I know I’ve ripped through 25 questions and i’m at question 36 with an hour to spare. I ended up finishing the exam with 27 minutes left on the clock. Not that it is a race, but my point is if you don’t know the answer to a question 100% then just use logic to deduct the answers you know aren’t correct, make your best choice and move on. 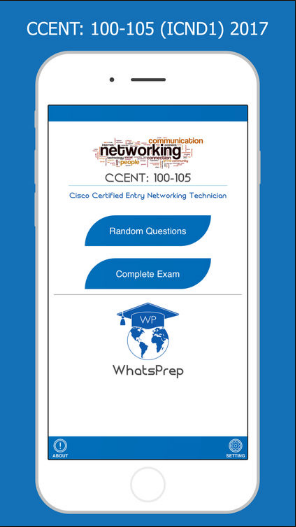 But do not make the mistake of thinking that just because you’re reading this post, I’ve covered every point Cisco makes in their material about the 100-105 pdf exams – make sure and read their pages. Note that http://www.lead4pass.com/100-105.html is a great place to start.